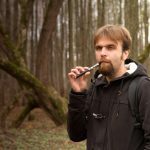 How Can Temperature Control Mods Improve Vaping? If you were unaware of temperature control mods, well, it might be the solution to some issues you’ve had but weren’t quite sure how to solve. If you’ve ever experienced your vaporizer getting too hot, burning the wick in your coil, or getting a dry hit, then you may want to look into getting one with temperature control (TC). 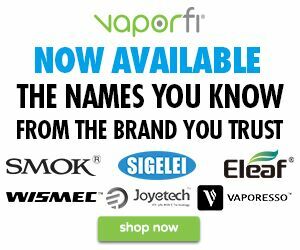 Here’s some information on this newest feature in vaporizer development, so you can decide if it’s something you want in your next vaporizer. Selecting the coil metal being used prior to vaping a temperature control mod. What Do TC Mods Do? A Temperature Control mod does exactly what it sounds like; it controls and limits the temperature of the coils in your atomizer so that they never go above the desired temperature. Maybe you thought this was already standard,(though it isn’t), or you’re wondering why temperature control even matters? Most of the reasons have to do with keeping temperature low enough so that harmful chemicals are not released, but there are other reasons such as taste, as well as preventing dry hits by keeping the wick from drying out and burning too quickly. Remember hearing about all the news on formaldehyde being released in e-cigarettes? What was found was that anything that used 5.0v, had formaldehyde-releasing agents found at over 10 times the amount found in traditional cigarettes. Admittedly though, just about every Vaper wouldn’t tolerate vaping at a temp that high, due to the bad taste. Obviously a temperature controller vaporizer takes away any doubt on whether or not you’re being exposed to formaldehyde due to temperature being too high. But even if you’re not concerned about reaching a formaldehyde-releasing temperature, the taste and quality of your vaping experience can be dampened before getting close to 5.0v. If the wick dries out the coil will get too hot, resulting in a horrible taste you may have experienced from time to time. In order for a temperature control mod to work properly, nickel (Ni200), titanium (Ti) or stainless steel (SS) wire is used instead of other wires more commonly used in vaporizers. This is because when stainless steel, nickel or titanium is heated, the resistance of the wire increases at a set rate in response to the temperature. Using a high resistance coil with high voltage is never a good idea because it will burn down your wick very quickly, because the voltage will stay at the same level without adjusting. However, by using a temperature controlled mod, the temperature remains where it’s set (or lower) due to the devices ability to sense the changing resistance of the wire as it heats up. Being able to experiment with temperature adjustment will not only give you peace of mind that your vaporizer is working at a safe temperature, but you’ll also be able to play with whatever temperature provides the best taste and hits that sweet spot we always seek. This type of control and customization ability is a really big selling point to many Vapers. Now that temperature controlled vaporizers are starting to gain popularity, they are becoming easier to find and at more affordable prices. As vaporizer technology continues to advance, temperature control may become standard and who knows what other developments we will see in the future. Interested in trying a Temperature Control Mod? Here are some of the latest TC Mods on the market. For advanced temperature control, check out our article on TCR Mode. 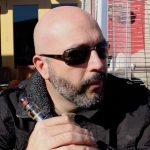 Above Ohm vs Sub Ohm Vaping: What's the Difference?